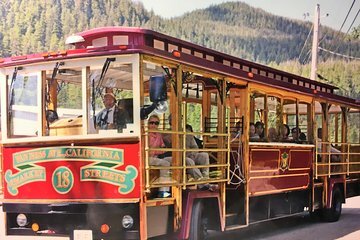 Explore the sights of Ketchikan aboard a San Francisco–style cable car. Traveling on this open-air vehicle, you'll see attractions such as the fish ladder and the Native American totem poles of Saxman Native Village, plus look for wildlife such as bears, seals, salmon, and bald eagles at the Herring Cove viewing area. Tour is fully narrated.